The effects of peach leaf curl disease are cumulative. It needs a combination of rain and cold and newly growing leaves to spread across a tree and we have had twelve atmospheric rivers this winter with another just starting to let loose as I type. My Tropic Snow always bloomed in January with leafing starting as the petals fell right at the middle of our cold rain. It took the hit year after year, sprayed with copper or not. And you don’t want too much copper build-up in your soil or it kills the good organisms. 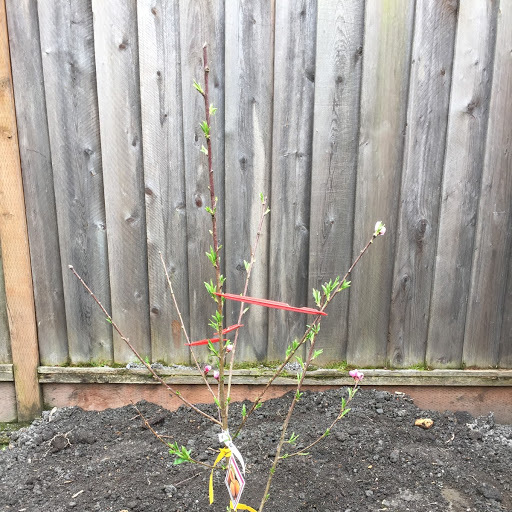 When I planted it, there was a patch of lily of the nile and a stump (correction 3/20/19: it was still a small tree at that point) that kept me from centering it between the lemon tree and the fence and it ended up right by the lemon, a very lopsided look, not even close to centered. But there was no way I could tackle those. It frankly looked terrible and I always regretted that. 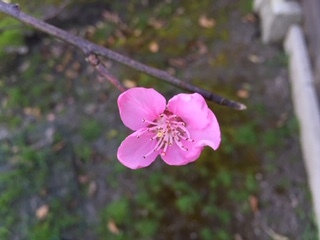 Now, nearly every leaf on the thing was shriveled and brown and unable to produce food for the tree; the single peach that set from all its flowers was diseased and would never be edible. I didn’t even have to prune it this winter–it spent all its energy last year growing a second set of leaves, and after it rained again, a few more. It had been in sheer survival mode for some time now. Given that it was one of my earliest learning experiences in fruit tree growing, I didn’t do a good job pruning and shaping it its first year or two and too much of it had grown above picking reach–which is one of the reasons I chose the tree last week that had the lowest branches. I’ve learned how to envision what these will grow to look like if I prune them right, and that you start from as close to the ground as you can. Their production time is staggered. Perfect. That’s the Frost in bloom above and the Indian Free below. Today was one of Elio the gardener’s Tuesdays. I asked him if he could do this extra project for me, not sure he had the tools nor the time for it. Of course he did. He dove right in. The stump that has defied me and kept growing back for five years now (never ever let a eucalyptus sprout in your yard) has much less to it now. The lily of the nile cluster has been dug out to two feet deep and transplanted to the bare spot beyond the mango tree that really called out for it and it makes my heart sing to be able to, for the first time, see it out the windows. Beautiful plants. I can’t wait to see them bloom. Was I sure? Elio asked. I was. 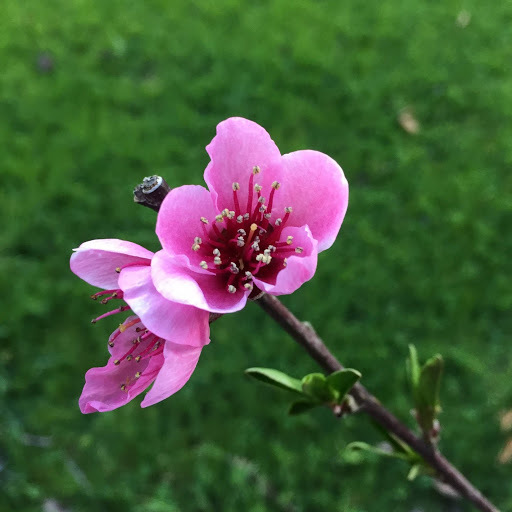 We looked at that poor sad peach tree together for a moment as if in eulogy. It had tried so hard. He not only took it out, he went below ground level working away at the stump, which I didn’t expect at all. A large gopher-proofing wire cage highly recommended by the Garden Company went into the new hole. I wanted to plant the new tree myself. And now it’s in there, near the Indian Free, right in the spot where that lily of the nile was this morning. I will buy new and sharp shears in its honor and get that done. I got the help I should have asked for the first time around, but I’m rather glad I didn’t–this is much better. This will be a healthy tree. And now Adele will have peaches reaching over the fence towards her in July as well as September and I can’t tell you how happy that makes me. The “long-time-coming” successes are sweeter. You’ll appreciate it even more for the knowledge you didn’t have before. Happy tree day!